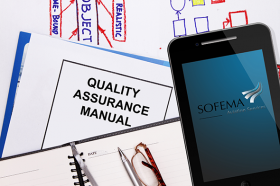 a) Considering the Role of Quality Assurance means What does an EASA Quality Assurance Do? One interpretation defines QC as “to check, test, or verify by evidence or experiments” and assurance being defined as “confidence of delivery” (maybe too narrow for our needs). As the technical complexity of aircraft have developed over the last 100 years the nature of interaction with people associated with the maintenance of aircraft began to matter more & more and in fact today human factors is relevant in just about every aspect and element of the maintenance system. The use of the term "human factors" in the context of aviation maintenance engineering is relatively new. In fact EASA only started mandating Compulsory HF training from 2005. Several Landmark aircraft accidents, for example Aloha aircraft in the USA in 1988 and British Airways BAC 1-11 windscreen accident in the UK in June 1990 showed that there was an unacceptable level of exposure to the potential of Maintenance Human Factors MHF. If you are engaged in Aviation Quality & Safety Management this is your one "must attend" event of the year. Here is your opportunity to engage with a professional who has decades of experience and is able to rise to the challenge of any Airport Security issue and to share an understanding regarding best practice solutions. 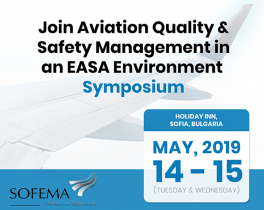 This Subject will be presented, considered and discussed during the forthcoming Aviation Quality & Safety Management Symposium 2019 May 14 & May 15 at the Holiday Inn Sofia. 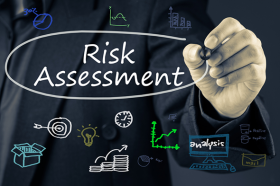 One of the measures of a successful Safety Management System (SMS) within an organisation, is a common understanding throughout the company of what needs to be achieved to deliver the objectives and how it should be done. How Effective is your EASA Flight Data Management Process? According to Regulation (EC) No 216/2008, (Basic Regulation Replaced by 2018/1139) Pilot training organisations and aero-medical centres are to hold a certificate. The certificate is to be issued upon fulfilment of certain technical and administrative requirements. Rules on the administration and management system of these organisations should therefore be provided for. Commission Regulation (EU) No 1178/2011 (amended by Regulation 290/2012) lays down detailed rules for certain pilots’ licences and for the conversion of national pilots’ licences and of national flight engineers’ licences into pilots’ licences, as well as the conditions for the acceptance of licences from third countries. Agreement was reached in relation to the extension of 145 certification approval between the European Community (European Aviation Safety Agency - EASA) and the USA (Federal Aviation Administration - FAA) and between EASA and Canada (Transport Canada Civil Aviation - TCAA). Details of the agreements are issued in the form of two separate guidance materials known as Maintenance Annex Guidance and hereinafter referred to as the MAG. Technical Implementation Procedures for Airworthiness and Environmental Certification under The Agreement on Civil Aviation Safety between The Government of Canada & the European Union (Revision 3 - 18 September 2017). 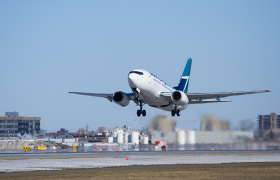 The purpose of these Technical Implementation Procedures is to define the interface requirements and activities between Transport Canada Civil Aviation (TCCA) and the European Aviation Safety Agency (EASA) for the import, export, and continued support of civil aeronautical products. TCCA and EASA shall conduct their certification and validation activities consistent with the Agreement on Civil Aviation Safety (hereafter referred to as the Agreement) and these Technical Implementation Procedures. EASA Compliant Flight Data Monitoring (FDM) is the exploitation of flight data to support an understanding of the various exposures, the knowledge of which, may successfully lead to the development of mitigations which can be employed to enhance flight safety. Aircrafts are analysed to identify any exceedances (a specialist task typically performed using software tools). Analysts can analyse data from normal ops to identify trends before there is a significant event or incident. The amount of Digital Data available in modern aircraft facilitates FDM providing the opportunity for effective analysis which is essential to provide for the best decisions regarding both the performance of flight crew as well as the aircraft systems and processes. Aircraft are analysed to identify any exceedances (a specialist task typically performed using software tools). Traditionally, data needs to be downloaded to a removable disk regularly before the data is lost. But latest technologies allow wireless data transmission from recorders to the ground station, which is more accessible for research and monitoring purposes. 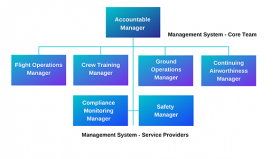 What is Flight Operational Quality Assurance (FOQA)? 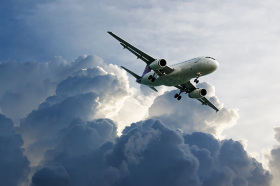 Even though Aviation is probably the safest form of mass transport, there remains an inherent obligation to reduce exposure and thereby drive down accident rates. Operational Flight Data Monitoring, known more recently as Flight Operational Quality Assurance (FOQA), is probably the most important safety tool available to aviation. Essentially Flight Data Monitoring (FDM) is the exploitation of flight data to support an understanding of the various exposures, the knowledge of which, may successfully lead to the development of mitigations which can be employed to enhance flight safety. According to Commission Regulation (EU) 965/2012, “Flight Data Monitoring (FDM) means the proactive and non-punitive use of digital flight data from routine operations to improve aviation safety”. European regulations expect the National Aviation Authority – NAA (competent authority) to have oversight of the Management Systems of their aircraft operators. Rather than reacting to serious incidents, operators have a very useful tool to proactively identify safety hazards and mitigate the risks. What Happens to Identified Events? 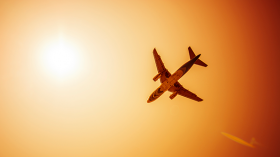 Whilst each individual event typically needs to be investigated so that the appropriate management decisions may be made by the airline, there is an opportunity for a deeper and longer lasting outcome. Event data may be managed to facilitate the wider and longer-term trend analysis so that events & issues can be identified and corrective action is taken. The following white paper considers a number of challenges faced by EASA Regulatory Authorities to engage with a Performance-Based Approach in this case with Aircraft continuing airworthiness monitoring (ACAM) (however there is a read across into SMS). Use of ATA MSG 3 methodology to develop the scheduled maintenance program for a given aircraft systems structure and engines. The U.S. government has a bilateral agreement in place with the European Union, rather than EASA. The U.S./EU Agreement covers more areas than bilateral agreements the U.S. has with other countries. It is a three tiered agreement. a) The highest tier is the Executive Agreement, which provides the framework for all cooperation between the U.S. and the EU in the area of aviation safety. b) The second tier is the Annexes. - Annex 2 covers maintenance. The Continuous Airworthiness Management Organization “CAMO” is essentially responsible for 4 primary functions - Planning, Technical Records, Engineering, and Reliability. These groups work together to ensure that the Aircraft remain fully compliant with all requirements concerning the aircraft maintenance management and associated oversight. Within the CAMO the Maintenance Planning, Technical Records, Engineering & Reliability groups work together to ensure that the aircraft remain fully compliant with all requirements concerning the aircraft maintenance management and associated oversight. Tensions between the desire to ensure safety behaviours and the organisations economic objectives (Production versus Protection) deliver real challenges which have a direct bearing on safety culture. 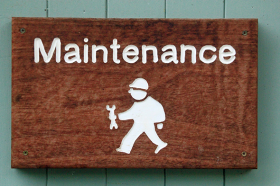 What is an Aviation Maintenance Safety Culture?